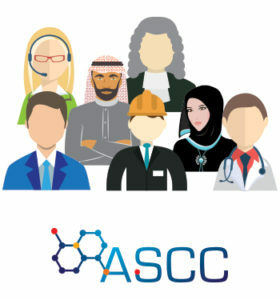 Arabian Scientific Consultancy Center, the first in Kuwait, aims at providing security protection for Scientific Consultancy for both individuals and institutions through a mechanism of active dynamics that keep up with modern rhythm, and are based on distinguished field experience and academic studies.ASCC provides the entire scientific consultancy to Hospitals & Medical Laboratories, Genetic Laboratory advice starting from the building complex to the architectural & through the development of the hospital work. In the Oil Industrial Sector, ASCC can provides the Scientific consultancy to the refineries, fire protection, analysis & environment safety. Installations, investments, enterprises, industrial security, hygiene, environment, fire risks, plans for guard and security systems before and after construction. Fields of forensic medicine, crimes, forgery and falsification of documents, currencies, stamps, credit cards, DNA, toxicology, drugs, firearms and tool marks, arson and explosives, trace evidences, operational methodologies, protocols and other aspects of criminal evidence.